Rhode Island KIDS COUNT celebrated its 25th Anniversary of child advocacy at the 2019 Factbook Breakfast on Monday, April 8, 2019. 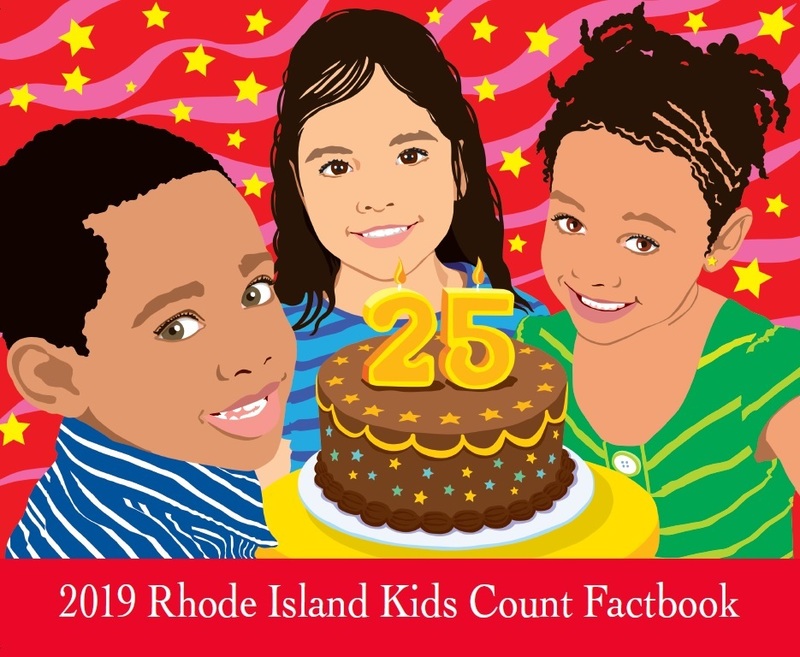 Please see the 2019 Rhode Island Kids Count Factbook, media release, executive summary, Twitter activity, event pictures, and media coverage. Rhode Island KIDS COUNT, the Rhode Island Department of Health’s Center for Health Data and Analysis, the Hassenfeld Child Health Innovation Institute, the State Innovation Model, and three health insurance plans – Blue Cross & Blue Shield of Rhode Island, UnitedHealthcare, and Neighborhood Health Plan of Rhode Island collaborated on a project to collect the most accurate childhood overweight and obesity data at the state and city/town level that could also be analyzed by race/ethnicity, age, gender, and insurance status. This is the first clinical/claims-based statewide data set of childhood overweight and obesity in Rhode Island. For more information, please see the Policy Brief, media release, event pictures, and Providence Business News coverage. The Governor's Proposed FY 2020 Budget includes many items that will affect the well-being of Rhode Island's children and families. Rhode Island KIDS COUNT has prepared the following Analysis of the Governor's Proposed FY 2020 Budget. Experiences during the first three years of a child's life are critical to healthy brain development and positive relationships with parents and caregivers and lay the foundation for social, emotional, cognitive, language, and physical development. Nationally and in Rhode Island, very young children are more likely to experience abuse and neglect than older children. In Rhode Island in 2018, nearly one in four victims of child abuse and neglect were infants and toddlers under age three (856 out of 3,505 victims). 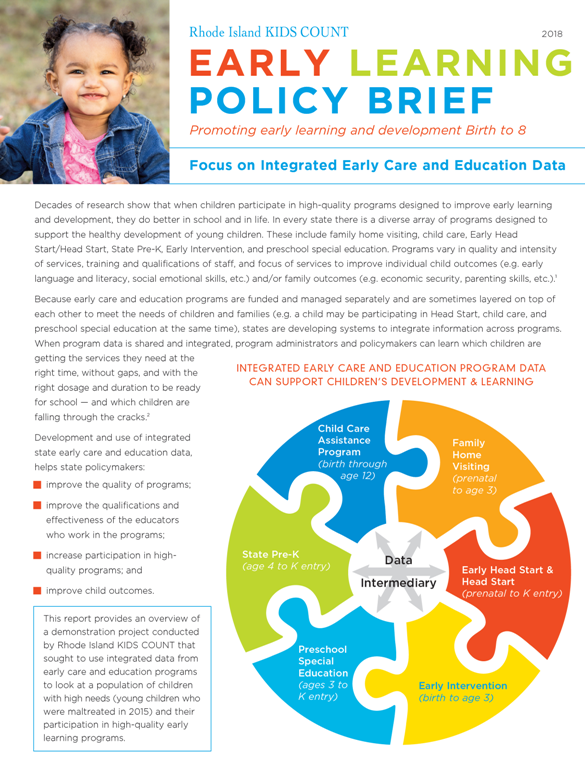 For more information, including key recommendations to support infants and toddlers involved in the child welfare system, please see the Issue Brief, media release, presentation, event pictures, and coverage in The Providence Journal and ConvergenceRI. At our Celebrating Young Children Luncheon on January 28 at the Providence Marriott, we celebrated progress, discussed goals for the future, and recognized the commitment of leaders to providing a strong start for young children birth through age 8 and their families. At the Luncheon, we released our 2019 Policy Priorities for Young Children. Please see event pictures, the event presentation, and Providence Journal coverage! The Rhode Island KIDS COUNT Factbook tracks the progress of 71 Indicators, across five areas of child well-being. 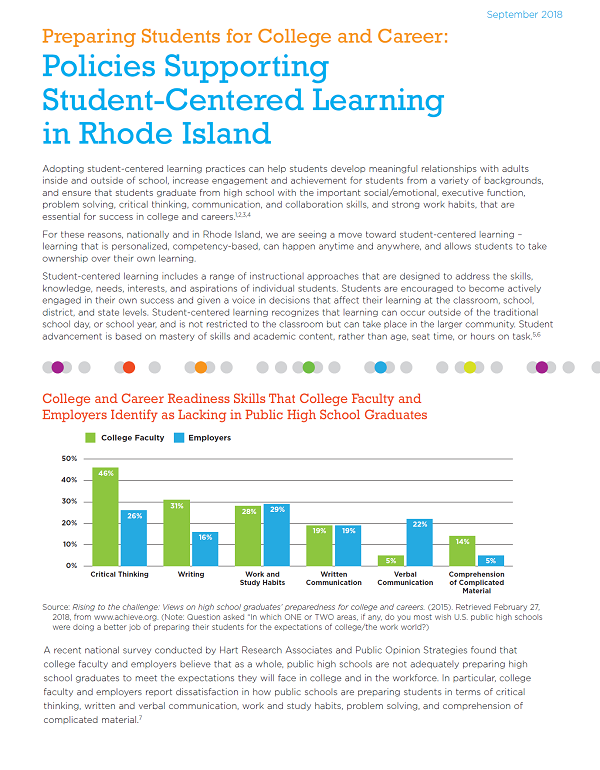 View the 2019 Rhode Island Kids Count Factbook.